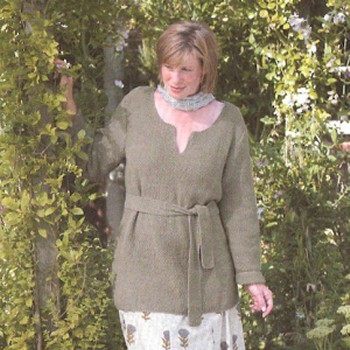 This tunic is knit in moss stitch and is flattering for all figures. This organically grown yarn is coloured with plant dyes. Due to their organic nature some shade variation will simply add to the yarn's unique inherent beauty. Needles needed but not included: US 5 straights.